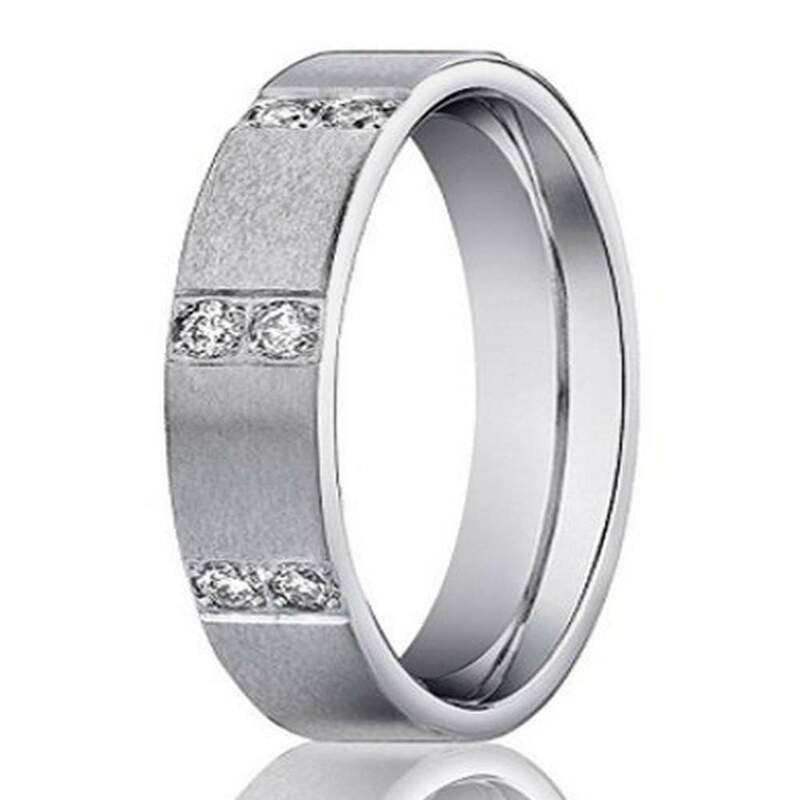 White gold is a superb choice for any groom that wants the enduring allure of cool, silvery tones. Why not take it a step further? Check out the 4mm men’s 14k white gold diamond wedding band with satin finish to top off your vows in the most luxurious way. Diamonds aren’t just for women’s engagement rings anymore. Dare to be different and discover why diamonds may be just the ring you’re looking for. White gold is dense, malleable, and has the appeal of a bright silver-white appearance. Several of the greatest benefits of selecting our men’s 14k white gold diamond wedding band with satin finish is that white gold never goes out of style, never tarnishes, and can fully accentuate the brilliance of white diamonds. This particular ring features couplets of gleaming white diamonds in a bezel setting, which protects the diamonds from potentially falling out due to force or rough wear. If your groom works with his hands all day long, this 4mm men’s 14k white gold diamond wedding band with satin finish is an ideal choice for his lifestyle. The 14k white gold band will never rust or corrode, but it may be best to re-plate every few years in order to preserve that classic silvery color. Diamond wedding bands are appropriate for every occasion, so you will not have to worry about taking your ring off for work or for casual outings. 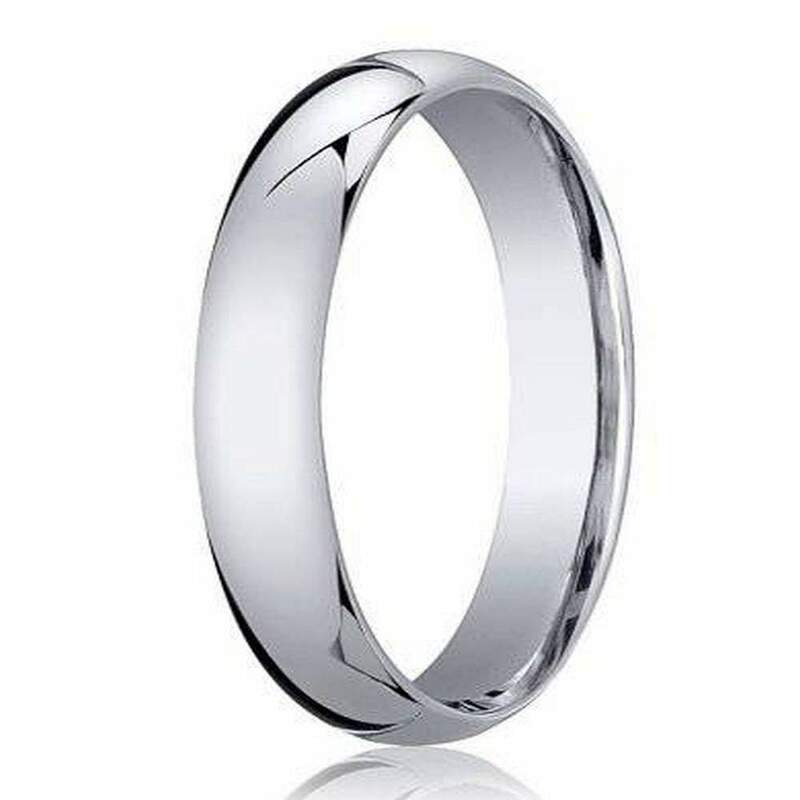 If your original choice of metal was platinum, white gold is a perfect alternative. White gold scratches less than platinum and is much more affordable.